S.I.T. co-founder, Chhavi Mittal decided on forever with Mohit Hussein in 2005. The couple is expecting their second baby in 2019. 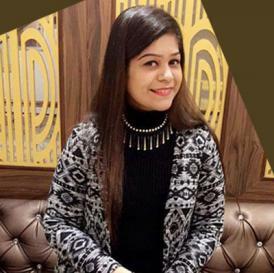 Here's Chhavi's strong post on no smoking! 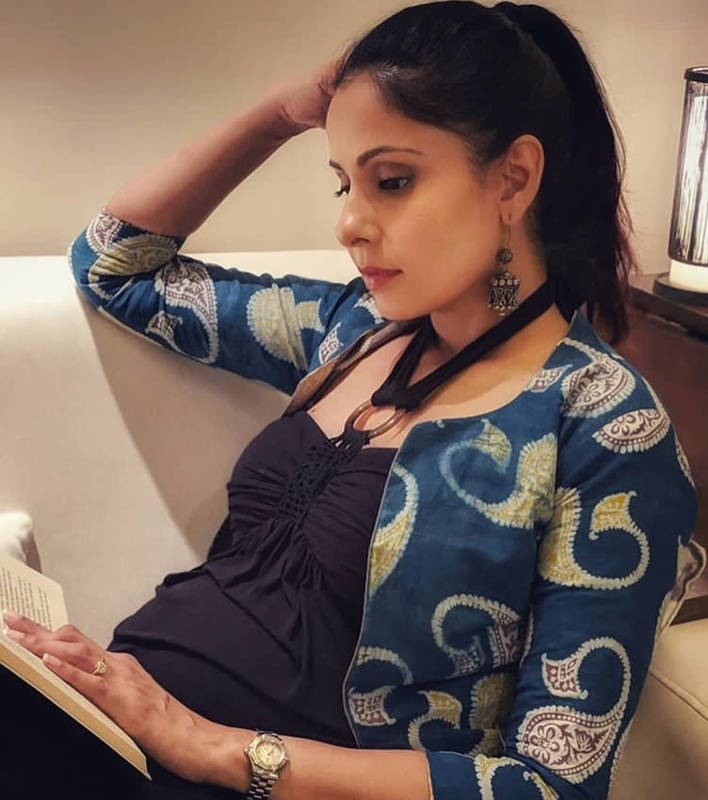 Chhavi yet again took to her social media handle and shared a strong and meaningful post on no smoking. Sharing the following picture, she wrote, " A few months back I did a blog about how pregnancy shows you who your true friends are. Another thing pregnancy opens your eyes wide to are peoole who may not be your friends, but are really to be kept at kms worth of distance, not just during this time, but even otherwise! These people are smokers, who are ignorant enough not just to smoke themselves and turn their pink lungs into black, but also to smoke in the presence of a pregnant mother! I mean, really... Have you really not read/heard anything about smoking being bad for everyone especially the unborn who is getting these ill-effects for no fault of his/her and with zero control over the situation? I have seen people light up in a closed room of people, in clubs, (it's even illegal guys) , in homes... where I have have literally just gotten up and left the party coz there was nowhere to hide! And I feel horrible for women who face this atrocity in their homes by the father of their own kids! They have nowhere to run and nowhere to hide. And most of these people that I have witnessed are the so called "educated" variety. Message to smokers: please stand up to your responsibilities as human beings towards other human beings who will be defining your future when you get helpless.. like they are right now #nosmoking." 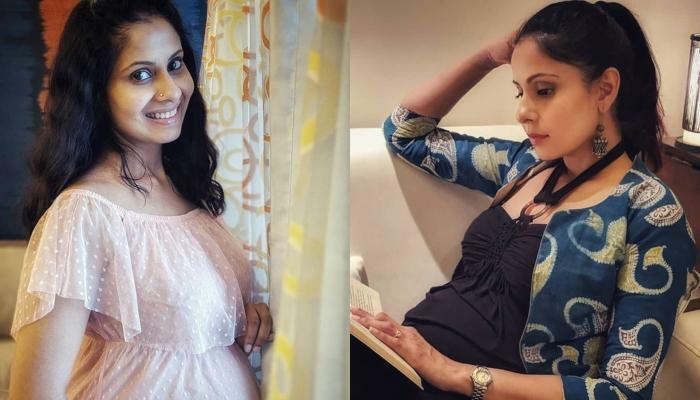 In an exclusive interaction with us, Chhavi had shared how her elder daughter, Areeza reacted to the news of her pregnancy. She had shared, "Areeza was ecstatic when she heard that there is a baby in my tummy. She almost didn't believe me and couldn't stop laughing. She is so excited, she loves to kiss the belly, she loves to feel the kicks. And everytime she feels the kick, she has a really cute expressions on her face and where she is like, "Oh My Goddd!!! And she has a lot of plans for the baby. The toys she is gonna give the baby, the clothes she is going to give the baby. She ideally wants to have a sister, but she is perfectly fine even if it is a brother as long as it's cute and she thinks it's going to be the cutest in the whole world." Chhavi Mittal had further added, “And just when I thought you can't get better than this, you became the best father in the world too! How do you be the best at so many roles at the same time? #director #father #husband #son #entrepreneur #masterofallwisdom. @mohithussein , if I got a chance all over again to choose my man, I'll choose you over the entire population of the world. Coz I can't get better than the best, can I? You redefine love, companionship, support, passion, genuineness, humility, compassion... The sheer look in your eyes and the warmth in your smile melts my heart each time. I love you, you know that right?" As the due date is arriving soon, we wish Chhavi all the very best and easy-breezy last days of pregnancy!